One of the things that annoys me intensely in politics is the parties slanging off at each hoping no doubt for some marginal political gain. It is another sign that the most important thing for the party is its quest for power. More votes means more electoral funding, seats in parliament and the ultimate goal of forming a government. But what is the point of all this if it is merely a quest for power with no substance. The last six years of Federal government seems to be a good example of this with little legislation, internal squabbling and division, leadership challenges and big money talking. The latter being directly tied to funding electoral campaigns and maintaining power. What is needed urgently is a move from the quest for power to the need to do the right and proper thing which is, after all, what responsible governments are supposed to do. There needs to be a massive swing away from money, ambition and personal gain to government based on the best science, loyalty to the issue and good works. To achieve this some media and advertising controls may be needed in an industry where diversity is lacking. On more a practical and immediate matter co-ordination and co-operation between parties with similar aims regarding the climate election appears to be missing in action. An example of this, and what I consider to be a tactical blunder by the Greens, is their appointment of Julian Burnside as their candidate in Kooyong. Burnside is best known for his opposition to asylum seeker detention but is also very strong on climate. I have paraphrased him on a number of occasions with the quote ‘If you can’t fix climate nothing else matters’. 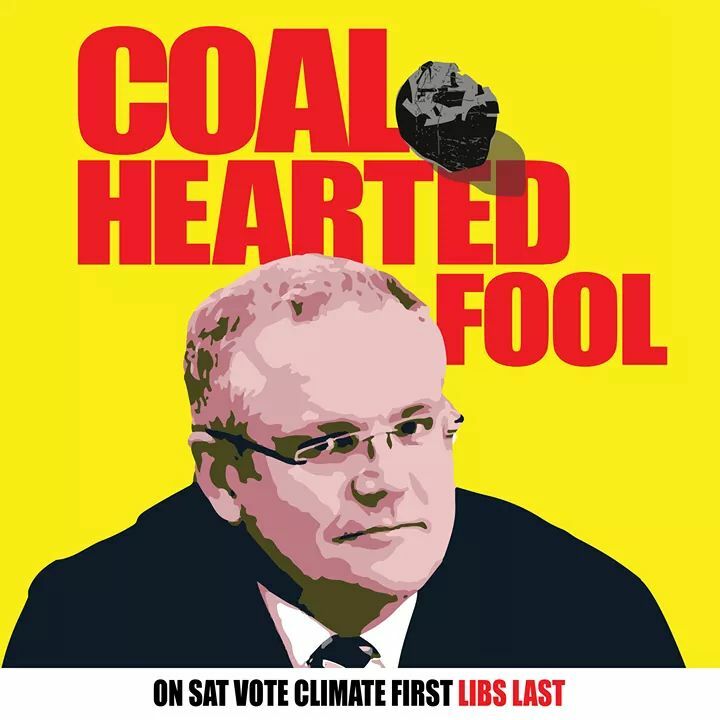 The problem with this is he is opposing the best credentialed climate advocate in Victoria – Oliver Yates – whose campaign in Kooyong has already been running strongly for some months. Whilst this may add some interest and focus attention on Kooyong surely it would have been better to run Burnside in adjacent Higgins which includes the green held state seat of Prahran. Or even better to stand him against climate change denier Andrews in the adjoining electorate of Menzies. Of the two best credentialed and well known climate candidates in Victoria only one can win. At worst by substantially splitting the climate vote may mean neither gets up. The same lack of co-ordination can be found amongst non-government environment and political lobby groups. Are GetUp, StopAdani, FOE, Environment Victoria, ACF, 350.org, Solar Citizens and Greenpeace amongst others, all of whom are acting positively in some way on the climate election, talking to each other so that they maximise their climate efforts? Their aims should be as follows: to make climate change the top issue, to eliminate as many of the climate deniers from parliament as possible (in effect to decimate the Lib/Nats) and acknowledge the climate emergency. Moves on party or group loyalty, personal ambition, power grabs and all other aspects overriding the climate issue should be discouraged. Supporting and promoting climate independents in safe National rural electorates should be considered an integral part of this campaign.